On 24 March, Saturday was a sunny day…. 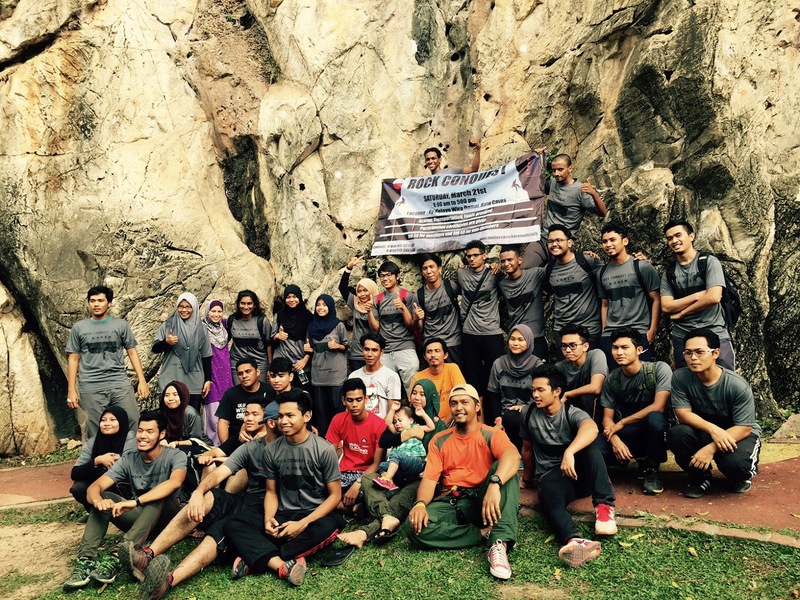 A group of 27 students from UNITEN, Bangi hyped out at Damai Wall for the Fun Climbing package which they booked a month earlier. Lead by Rumi Mikhael they arrived at 10A.M. by bus. Adding to the large group from UNITEN , was a group of 5 from Ceria Worlwide,(tour & travel agent) lead by Puteri Idayu. It made the climbing site all the merrier. The groups were briefed about safety, do’s and dont, and proper wearing of harness. Wira Adventure Consultant provided them 8 climbing guides. 6 beginners’ routes were set up, ranging from gred 5c and 6a. They were further broken down into 6 smaller groups, each group taking their turns to climb the top rope. Lunch was by 12.30pm and they had delicious packed chicken rice. The groups continued climbing untill 4,30pm. With the pemission of the Gua Damao management, they took the opportunity to visit the Big Tree Cave before heading back to campus at 5pm. You can really see their beaming faces.